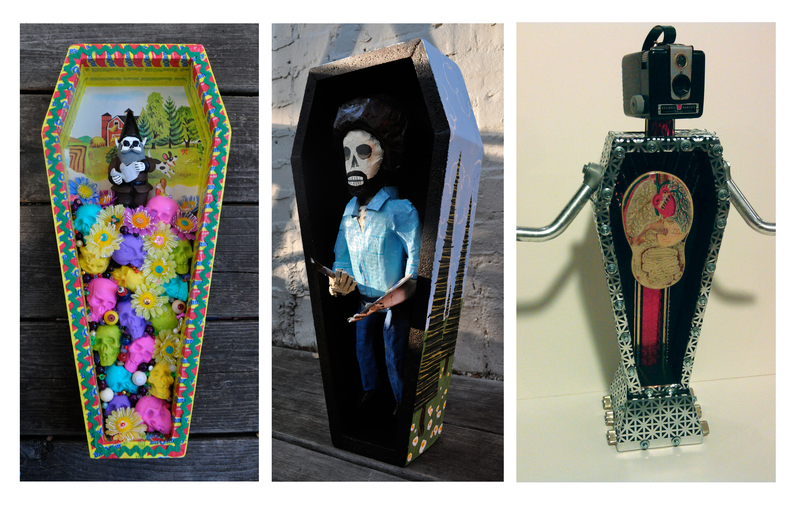 we start hanging the show this week but wanted to give a little sneak peek of a few coffins we got in. 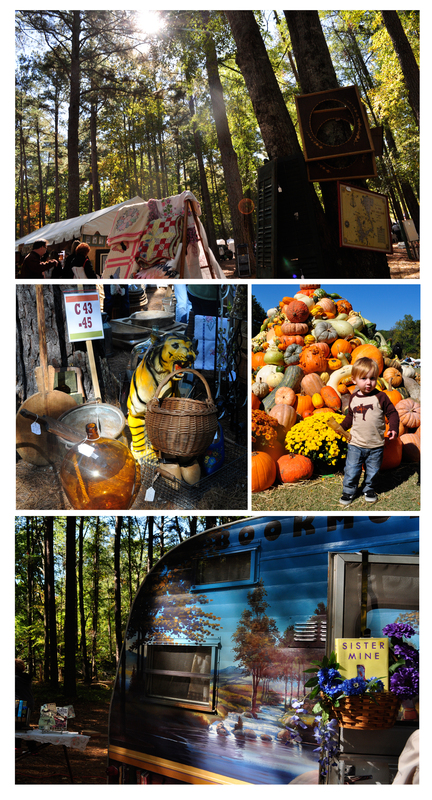 getting a little behind in posting – Here are few October highlights. made a wreath for our new front door. 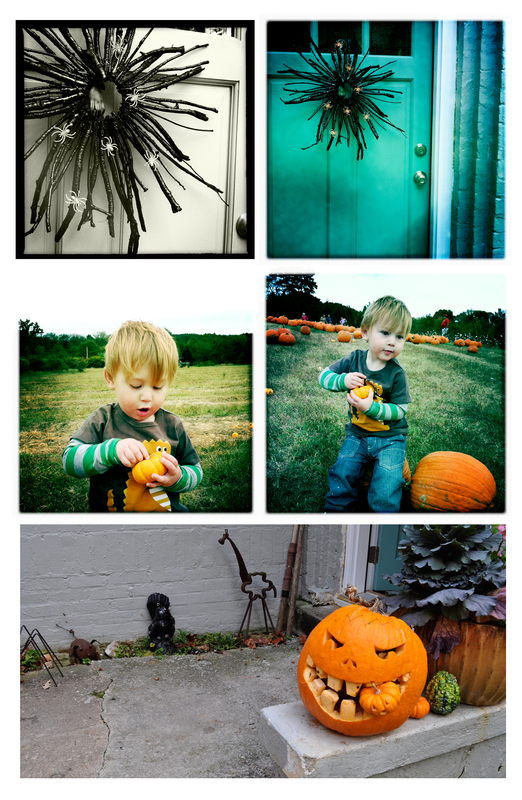 pumpkin patch with Henry (he couldn’t make up his mind – too many pumpkins). our pumpkin got a little hungry this year.